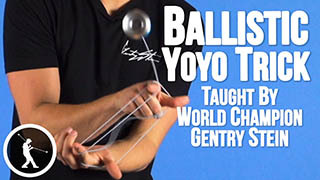 Learn from World Champion Gentry Stein how to do the One and Half Circular Eli Hops yoyo trick, an impressive trick based on changing body orientation in a circular fashion..
1.5 Circular Eli Hops Yoyo TrickThis trick is called 1.5 Circular Eli Hops, here is what it looks like. The trick is going to start in a 1.5 mount, you are going to grab the string that is attached to your yoyo finger with your pinky and your ring finger. This will make the whole trick a lot easier to land. 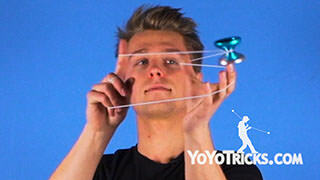 As you pop the yoyo out, you are going to push your yoyo finger the direction you want the yoyo to go. As the yoyo is moving outward, you want to slide your yoyo finger up towards your opposite hand to allow the yoyo to have some room to move. 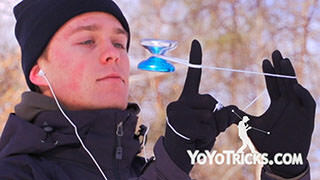 To bring the yoyo back onto the string, you are just going to slide your finger back to its original starting position. 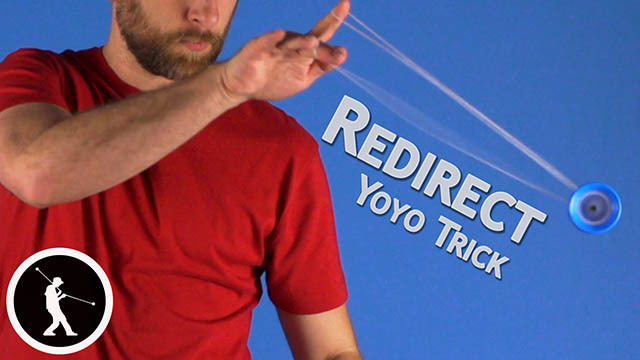 If you are having trouble getting the yoyo to stall at the end of the string and it falls downward before the motion is completed, YoTricks has a video called Redirects if you want to go check that out and it will help a lot with this technique. It is really important to be thinking about the footwork during this trick so throughout the entire trick you are just going to take two steps both with your foot on your yoyo side. That first step is going to happen as you do the first pop. While I am popping, I am just going to take a step across my body past my opposite foot. Keep in mind during this trick all the hops are using the same technique by pushing my yoyo finger out whatever direction the yoyo is supposed to go. Immediately after that top hop you are going to take your next step and complete the circle. 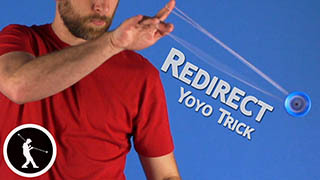 Two more tips for this trick, first as you are popping the yoyo up higher try leaning over backwards just a little putting yourself in a comfortable position with your arms over your head. 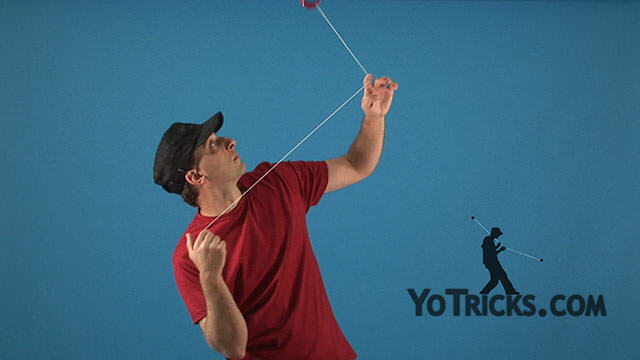 Also as you are moving downward popping the yoyo out, try sliding your opposite hand up the string too, this will make all the pops a lot easier. That is 1.5 Circular Eli Hops.